In 1982, The Iowa State University Fashion Show began as a simple runway show held in a MacKay Hall classroom with only a few Iowa State students in attendance. 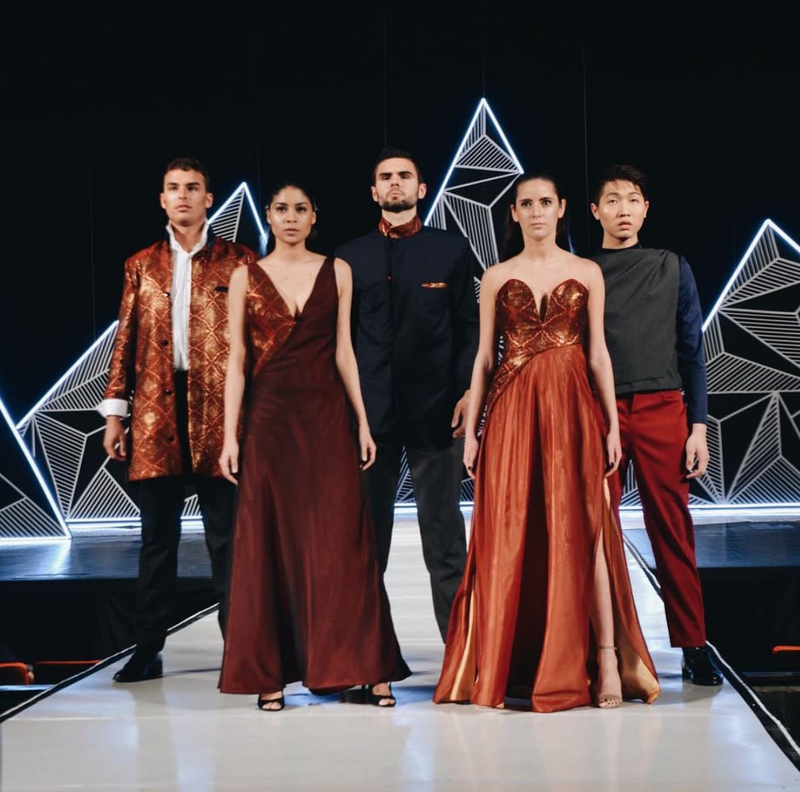 Over the past thirty-seven years, The Fashion Show has grown into one of the largest student run fashion shows in the nation and is produced by nearly 150 students selected to be part of the planning committees. In addition, The Fashion Show selects 50 student models who showcase the garments chosen by industry guest judges. Garments included in the show are designed by over 75 Iowa State students from the Apparel, Merchandising, and Design program. This year, The Fashion Show 2019 will take place on Saturday, April 13th at 7:00 p.m. at C.Y. Stephens Auditorium in Ames, Iowa.The production has grown to nearly sold-out attendance of over 2,300 audience members and 1000 online viewers who witness the culmination of months of student work. Why Donate to The Fashion Show? In addition to scholarships and networking opportunities with industry professionals, The Fashion Show provides Iowa State students with many unique opportunities. Participation on any committee allows students to obtain industry experience and develop leadership skills that impact their selection for internships and jobs following graduation. The Fashion Show also continues to expand community awareness and philanthropic efforts in the Ames and Des Moines areas. Those involved with the show come from a diverse set of majors and form lifelong friendships throughout the planning process. Student leaders on the planning teams have been collaborating since October 2018 to develop the best possible production. We hope you consider donating to the continual growth of our organization! By donating to The Fashion Show 2019, you will be supporting the overall production of the show and contributing to scholarships that benefit the futures of winning students in each category! Student designers chosen to display their garments in the show also compete for first, second, and third place scholarships in their respective categories. Last year, The Fashion Show awarded more than $10,000 in scholarships to student designers due to the generous donations acquired through this campaign! These scholarships help students further their education and facilitate the creation of future designs. First place in each category receives $500 and the overall winner of Lora and Russ Talbot ISU Fashion Show Best in Show is awarded a $2,000 endowed scholarship! Besides showcasing student work, The Fashion Show prides itself on inviting distinguished industry professionals to serve as guest judges for the show. Every year, professionals from across the country convene at Iowa State to evaluate submitted entries on Judging Day. Comprised of associates in design, merchandising, education, and production, the guest judges help critique and select which designs will walk the runway and demonstrate the most elite student work. The Fashion Show also inspires student designers by hosting an industry Guest Company/Designer to showcase their work during the second half of the show. The Guest Company/Designer holds a coveted spot in the show's tradition, as these individuals continue to demonstrate success and influence in the apparel industry. 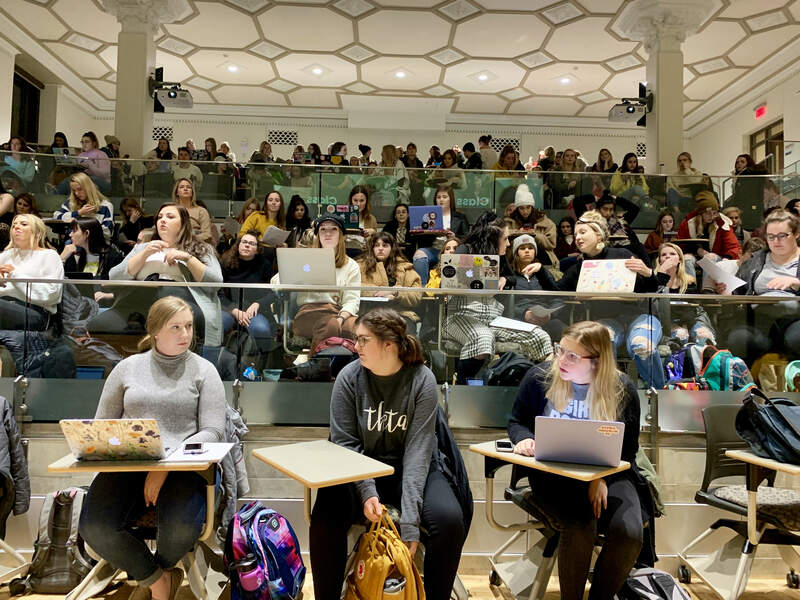 Previous designers include Patagonia, Abasi Rosborough, alumnus Todd Snyder, alumnus Matthew Christopher, and alumni designers from Vineyard Vines, J Brand, Marc Jacobs, and Target. The Apparel, Merchandising, and Design program is endorsed by the American Apparel and Footwear Association (AAFA). Students of the program study fashion design, technical design, product development, costume history, merchandising and marketing strategies, production processes, business processes, and consumer behavior. 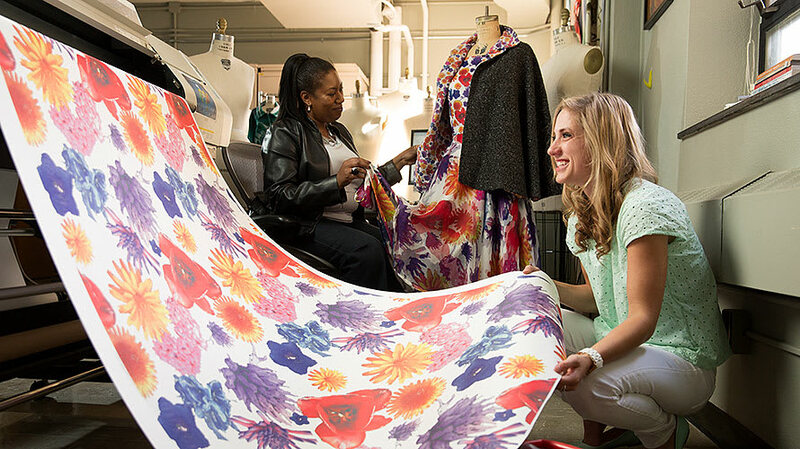 Exposure to industry software and challenging classroom experiences prepares students for careers in one of the largest industries in the world: textiles and apparel. Iowa State University features production technology and product development laboratories where students can test fabrics, conduct research, and design textiles. Undergraduate access to these facilities is unique among national apparel programs and the opportunity continues to inspire and educate students. As part of the Apparel, Merchandising, and Design program, students have the opportunity to participate in international study abroad programs and industry field studies to New York City, Los Angeles, Chicago, Dallas, South Africa, China, and Europe. During the summer, over 150 undergraduates complete annual industry internships at companies across the nation, gaining valuable professional experience. Receive a TFS 2019 laptop sticker! Have your name printed in The Fashion Show's program given to over 2,300 attendees + TFS 2019 laptop sticker! Receive a free Fashion Show T-shirt AND access to the ticket pre-sale + Name printed in The Fashion Show's program + TFS 2019 laptop sticker! Receive a backstage tour of C.Y. Stephens + Free Fashion Show T-Shirt + access to the ticket pre-sale + Name printed in The Fashion Show's program + TFS 2019 laptop sticker! Receive a custom TFS frame and photo taken by our photographers at the show + Receive a backstage tour of C.Y. Stephens + Free Fashion Show T-shirt + access to the ticket pre-sale + Name printed in The Fashion Show's program + TFS 2019 laptop sticker! Free rental from Rent the Runway + VIP Parking at Stephen's Auditorium + Receive a custom TFS frame and photo taken by our photographers at the show + Backstage tour of C.Y. Stephens + Free Fashion Show T-shirt + access to the ticket pre-sale + Name printed in The Fashion Show's program + TFS 2019 laptop sticker!